All the rooms are on ground level. 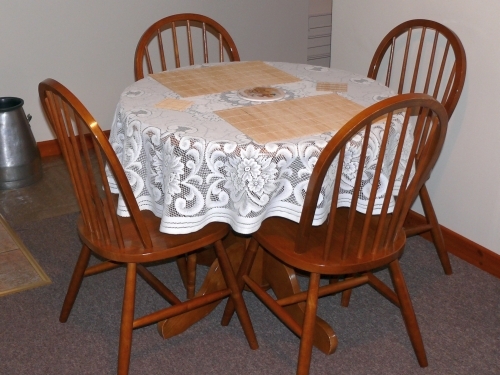 Entry is through the spacious lounge which is comfortably furnished and has a dining area at one end. 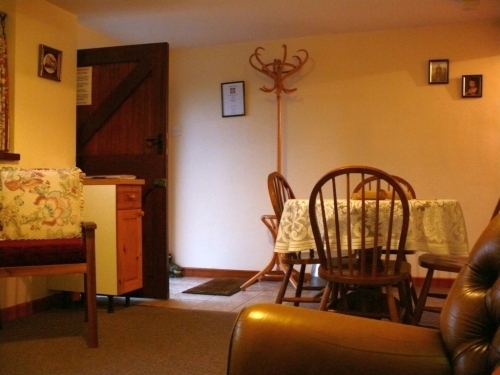 The well equipped kitchen is off a small corridor, close to the dining area. A modern shower room is also off the corridor. 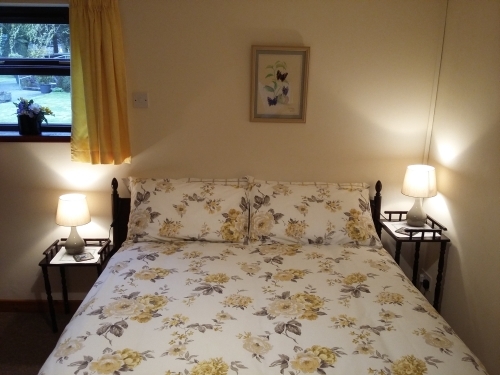 At the back of the cottage is the bedroom which sleeps two in a double bed and has views over the garden. Please note - access to the cottage involves a step up of approximately ten inches (25cm) at the entrance. 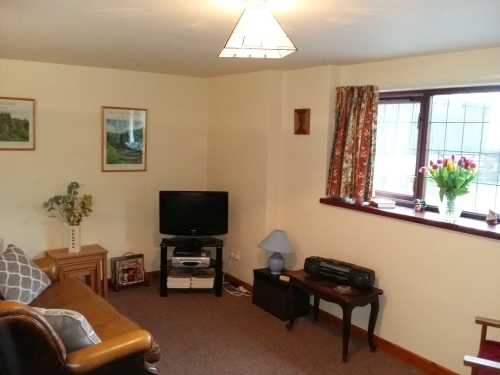 There are fitted carpets throughout and, with storage heaters in each room, the cottage is extremely cosy even in the coldest months. All the rooms are on the ground level. Entry is through the spacious lounge which is comfortably furnished and has a dining area at one end. 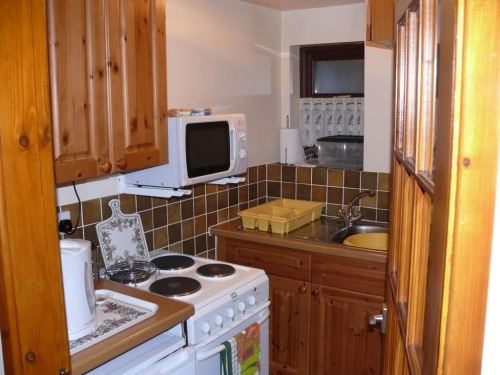 The well equipped kitchen is off a small corridor, close to the dining area. 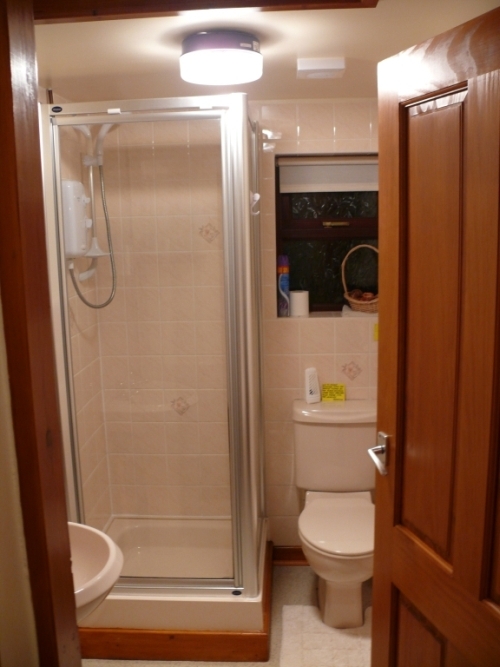 A modern shower room is also off the corridor. 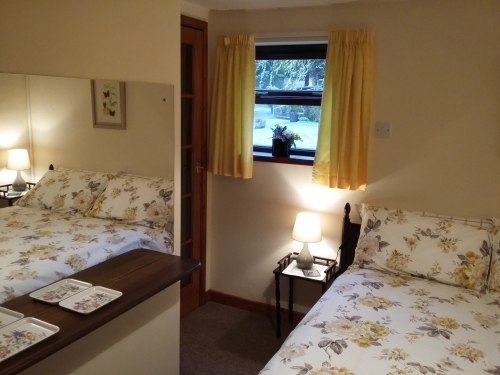 At the back of the cottage is the bedroom which sleeps two in a double bed and has views over the garden.